There's a new superhero in town. Data is the ultimate superpower to keeping your workers safe. 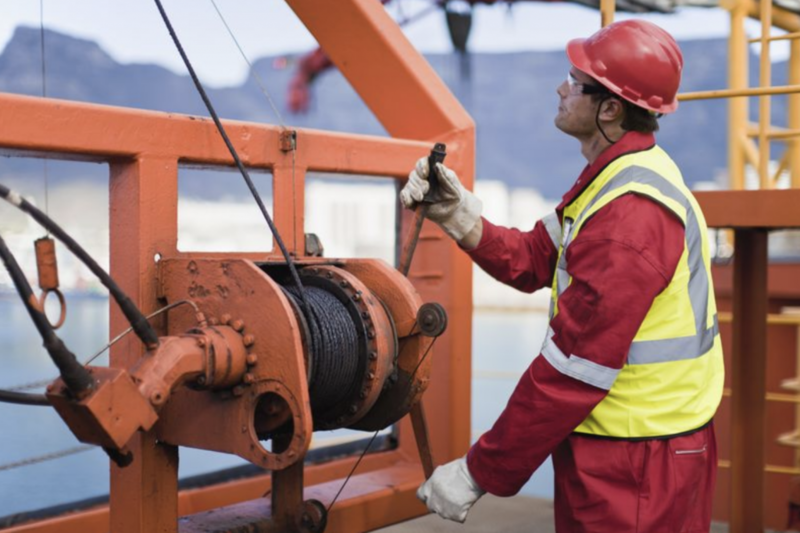 Click here to check out how IoT can improve worker safety. Welcome to this edition of our Get Connected series about worker safety. Today, we are going to discuss the most important aspect of your organization: your people and their ability to safely to keep the assets in your environment running. With 178 work-related accidents every 15 seconds and 374 million non-fatal injuries and illnesses every year, these numbers drive employee satisfaction and your bottom line. Safety regulations and procedural compliance reporting may already be in place. Yet, tracking and showing that you care about work accidents remain a huge cross-industry problem. It affects employees’ health and livelihood, as well as companies’ productivity. Keeping employees safe should be a top priority for all companies. Now, IoT and advanced analytics help make all that possible. But before we deep dive into what you can achieve with the above-mentioned technology, let’s first have a look at your work environment today. Even though compliance is at the center of safety, there are too many cases when the workplace reality does not match the theory. Are you helping workers stay safer so your workplace reality matches the workplace theory of compliance? How Does “Safety” Look in our Organization? What are you currently doing to assess and ensure total safety? What are your top safety issues that you need to address? Do you have existing sensors to detect malfunctions and potential hazards like a gas leakage? What personal protective equipment (PPE) are you using today? Do your workers wear earmuffs, vests or Nomex coverall, and can you tell if they don’t, or certain tasks we ask them to do make them take them off? What is the nature of work: do your employees perform manual work, are they walking to their inspections, are they operating heavy types of machinery? Do employees work in shifts, and if yes, what is the duration of a shift? Over time, does physical stress increase or decrease in your people? No matter what your answers are, understanding the total picture is your goal. Healthy, long-term employees reduce your costs. Fingertip compliance reduces your costs. And, reduced real-time incidents should always be the final goal. You can now leverage IoT technology and advanced analytics for real-time worker and workplace monitoring. The data from the wearables, environments sensors, and any other type of sources can now be used to get insights into any potential risks and hazards. That way, you can drive more proactive and personalized safety programs, and ensure increased compliance and reduced costs. This is a data challenge to combine real-time insights with place and context information, along with trends, weather, forecast analyses, and worker information. Organizations can empower their workers and supervisors with predictive information to address any issues before hand. It will also ensure predictive protection, as such a system will continue to learn and can be used to improve safety guidelines and adherence to regulations. We have worked with numerous customers across industries to achieve high improvements in their workplace safety. For example, an oil and gas client reduced injuries related to fatigue and falls by 86 percent. A warehouse client achieved a zero injury rate over a six-week period thanks to 27 proximity alerts. A steel manufacturer avoided 40 potential incidents of heat stress over a nine-month period.